This is “Selecting a Form of Business Ownership”, chapter 4 from the book An Introduction to Business (v. 1.0). For details on it (including licensing), click here. Who would have thought it? Two ex-hippies with strong interests in social activism would end up starting one of the best-known ice cream companies in the country—Ben & Jerry’s. Perhaps it was meant to be. It seems that Ben Cohen (the “Ben” of Ben & Jerry’s) always had a fascination with ice cream. As a child, he made his own ice cream mixtures by smashing his favorite cookies and candies into his ice cream. But it wasn’t until his senior year in high school that he became an official “ice cream man,” happily driving his truck through neighborhoods filled with kids eager to buy his ice cream pops. After high school, Ben tried college but it wasn’t for him. He attended Colgate University for a year and a half before he dropped out to return to his real love: being an ice cream man. He tried college again—this time at Skidmore, where he studied pottery and jewelry making—but, in spite of his selection of courses, still didn’t like it. What’s your favorite Ben & Jerry’s flavor? In the meantime, Jerry Greenfield (the “Jerry” of Ben & Jerry’s) was following a similar path. He majored in premed at Oberlin College and hoped to become a doctor. But he had to give up on this goal when he was not accepted into medical school. On a positive note, though, his college education steered him into a more lucrative field: the world of ice cream making. He got his first peek at the ice cream industry when he worked as a scooper in the student cafeteria at Oberlin. So, fourteen years after they met, Ben and Jerry reunited and decided to go into ice cream making big time. They moved to Burlington, Vermont—a college town in need of an ice cream parlor—and completed a $5 correspondence course from Penn State on making ice cream (they were practically broke at the time so they split the course). After getting an A in the course—not surprising, given that the tests were open book—they took the plunge: with their life savings of $8,000 (plus $4,000 of borrowed funds) they set up an ice cream scoop shop in a made-over gas station on a busy street corner in Burlington. The next big decision was which form of business ownership was best for them. This chapter introduces you to their options. Review the eight questions identified in this section that you’d probably ask yourself in choosing the appropriate legal form. Rate each of the questions using this scale:  not at all important;  not very important;  somewhat important;  very important;  extremely important. Select the two questions that are most important to you and the two questions that are least important to you, and explain all four. Describe the sole proprietorship form of organization, and specify its advantages and disadvantages. A sole proprietorshipBusiness owned by only one person. is a business owned by only one person. The most common form of ownership, it accounts for about 75 percent of all U.S. businesses.U.S. Census Bureau, “Legal Form of Organization,” http://www.census.gov/prod/2000pubs/cc92-s-1.pdf (accessed May 3, 2006). It’s the easiest and cheapest type of business to form: if you’re using your own name as the name of your business, you just need a license to get started, and once you’re in business, you’re subject to few government regulations. As sole owner, you have complete control over your business. You make all important decisions, and you’re generally responsible for all day-to-day activities. In exchange for assuming all this responsibility, you get all the income earned by the business. Profits earned are taxed as personal income, so you don’t have to pay any special federal and state income taxes. Sole proprietors enjoy complete control but also face increased risks. For many people, however, the sole proprietorship is not suitable. The flip side of enjoying complete control, for example, is needing to supply all the different talents that may be necessary to make the business a success. And if you die, the business dissolves. You also have to rely on your own resources for financing: in effect, you are the business, and any money borrowed by the business is loaned to you personally. Even more important, the sole proprietor bears unlimited liabilityLegal condition under which an owner or investor is personally liable for all debts of a business. for any losses incurred by the business. 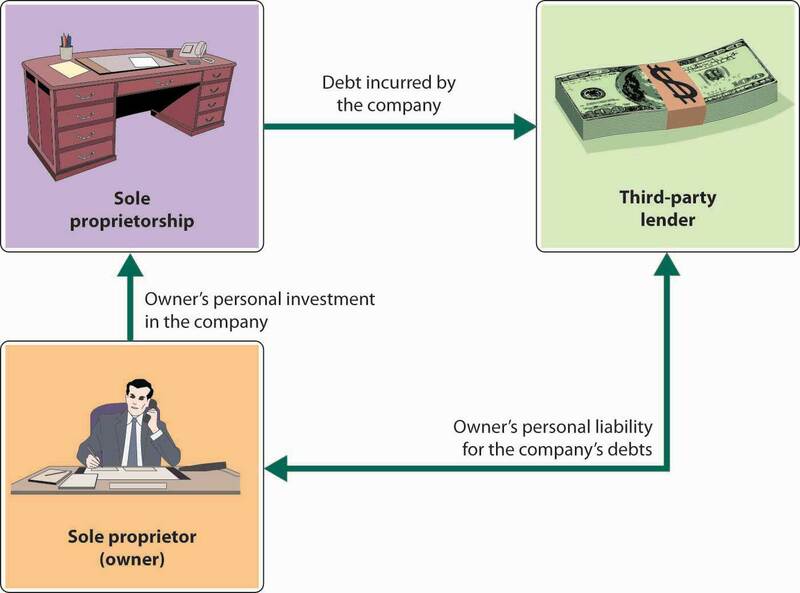 As you can see from Figure 4.3 "Sole Proprietorship and Unlimited Liability", the principle of unlimited personal liability means that if the company incurs a debt or suffers a catastrophe (say, getting sued for causing an injury to someone), the owner is personally liable. As a sole proprietor, you put your personal assets (your bank account, your car, maybe even your home) at risk for the sake of your business. You can lessen your risk with insurance, yet your liability exposure can still be substantial. A sole proprietorship is a business owned by only one person. It’s the most common form of ownership and accounts for about 75 percent of all U.S. businesses. Talk with a sole proprietor about his or her selected form of business ownership. Ask him or her which of the following dimensions (discussed in this section) were important in deciding to operate as a proprietor: setup costs and government regulations, control, profit sharing, income taxes, skills, continuity and transferability, ability to obtain financing, and liability exposure. Write a report detailing what you learned from the business owner. Identify the different types of partnerships and explain the importance of a partnership agreement. Describe the advantages and disadvantages of the partnership form of organization. A partnershipBusiness owned jointly by two or more people. (or, more precisely, a general partnership) is a business owned jointly by two or more people. About 6 percent of U.S. businesses are partnerships, and though the vast majority are small, some are quite large. For example, the big four public accounting firms are partnerships. Setting up a partnership is more complex than setting up a sole proprietorship, but it’s still relatively easy and inexpensive. The cost varies according to size and complexity. It’s possible to form a simple partnership without the help of a lawyer or an accountant, though it’s usually a good idea to get professional advice. Professionals can help you identify and resolve issues that may later create disputes among partners. 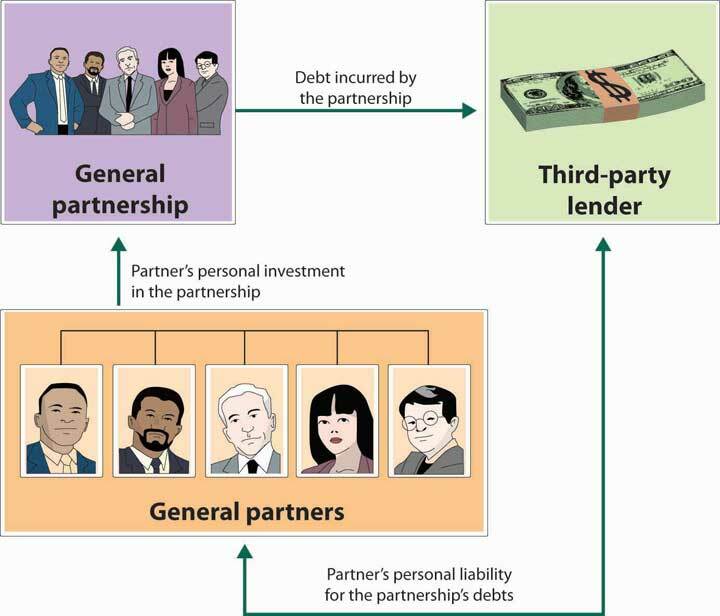 Figure 4.4 "General Partnership and Unlimited Liability" shows that a major problem with partnerships, as with sole proprietorships, is unlimited liability: each partner is personally liable not only for his or her own actions but also for the actions of all the partners. In a partnership, it may work according to the following scenario. 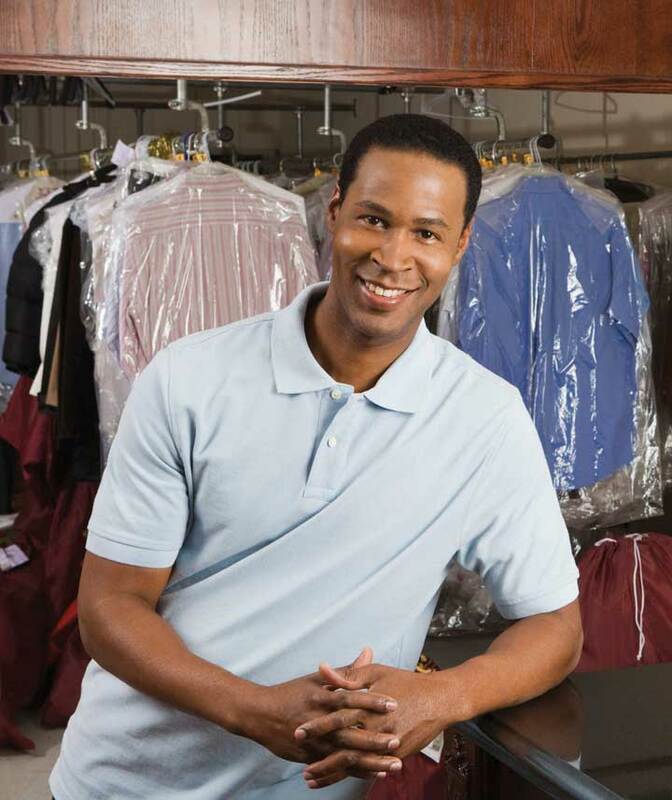 Say that you’re a partner in a dry cleaning business. One day, you return from lunch to find your establishment on fire. You’re intercepted by your partner, who tells you that the fire started because he fell asleep while smoking. As you watch your livelihood go up in flames, your partner tells you something else: because he forgot to pay the bill, your fire insurance was canceled. When it’s all over, you estimate the loss to the building and everything inside at $1.2 million. And here’s the really bad news: if the business doesn’t have the cash or other assets to cover losses, you can be personally sued for the amount. In other words, any party who suffered a loss because of the fire can go after your personal assets. Many people are understandably reluctant to enter into partnerships because of unlimited liability. Individuals with substantial assets, for example, have a lot to lose if they get sued for a partnership obligation (and when people sue, they tend to start with the richest partner). To overcome this defect of partnerships, the law permits a limited partnershipPartnership made up of a single general partner (who runs the business and is responsible for its liabilities) and any number of limited partners., which has two types of partners: a single general partner who runs the business and is responsible for its liabilities, and any number of limited partners who have limited involvement in the business and whose losses are limited to the amount of their investment. The partnership has several advantages over the sole proprietorship. First, it’s relatively inexpensive to set up, and it subjects you to few government regulations. Second, it brings together a diverse group of talented individuals who share responsibility for running the business. Third, it makes financing easier: The business can draw on the financial resources of a number of individuals. The partners not only contribute funds to the business but can also use personal resources to secure bank loans. Fourth, continuity needn’t be an issue because partners can agree legally to allow the partnership to survive if one or more partners die. Finally, partners pay taxes at the income tax rate for individuals; they don’t pay any special taxes. Partnerships can have many advantages, but there are disadvantages to consider as well. Still, there are some negatives. First, as discussed earlier, partners are subject to unlimited liability. Second, being a partner means that you have to share decision making, and many people aren’t comfortable with that situation. Not surprisingly, partners often have differences of opinion on how to run a business, and disagreements can escalate to the point of actual conflict; in fact, they can even jeopardize the continuance of the business. Third, in addition to sharing ideas, partners also share profits. This arrangement can work as long as all partners feel that they’re being rewarded according to their efforts and accomplishments, but that isn’t always the case. While the partnership form of ownership is viewed negatively by some, it was particularly appealing to Ben Cohen and Jerry Greenfield. Starting their ice cream business as a partnership was inexpensive and let them combine their limited financial resources and use their diverse skills and talents. As friends they trusted each other and welcomed shared decision making and profit sharing. They were also not reluctant to be held personally liable for each other’s actions. A general partnership is a business owned jointly by two or more people. About 6 percent of U.S. businesses are partnerships. The impact of disputes can be reduced if the partners have a partnership agreement that specifies everyone’s rights and responsibilities. It’s relatively inexpensive to set up and subject to few government regulations. Partners pay personal income taxes on their share of profits; the partnership doesn’t pay any special taxes. It brings a diverse group of people together to share managerial responsibilities. Partners can agree legally to allow the partnership to survive if one or more partners die. It makes financing easier because the partnership can draw on resources from a number of partners. Shared decision making can result in disagreements. Each partner is personally liable not only for his or her own actions but also for those of all partners—a principle called unlimited liability. A limited partnership has a single general partner who runs the business and is responsible for its liabilities, plus any number of limited partners who have limited involvement in the business and whose losses are limited to the amount of their investment. Grand Canyon Helicopter Adventures was started five years ago by Jayden Collins. The business has grown over the years, but is at a standstill now. Jayden would like to expand his business, but needs additional funds to do this. Also, he could really use help running the business. Though he is an excellent pilot with a perfect safety record, he’s not very good at handling the day-to-day details needed to keep the business running smoothly. A friend of his, Rob Tocci, approached him recently and asked to join him in the business. Rob is fairly wealthy and has considerable business experience. Plus, he knows how to fly choppers—though he has had a few (thankfully nonfatal) mishaps. Jayden is a little apprehensive about sharing responsibility for running the business, but he doesn’t mind sharing profits. On the other hand, he recognizes that he alone will not be able to grow the business. Because Jayden doesn’t want to incorporate, he has only two options: continue doing business as a sole proprietorship or find someone to join him in a partnership. You should evaluate these two alternatives, discuss the advantages and disadvantages of each option, and recommend the one you consider most appropriate. If you recommend forming a partnership, distinguish between a limited and a general partnership. Explain how corporations are formed and how they operate. Discuss the advantages and disadvantages of the corporate form of ownership. A corporationLegal entity that is entirely separate from the parties who own it and that is responsible for its own debts. (sometimes called a regular or C-corporation) differs from a sole proprietorship and a partnership because it’s a legal entity that is entirely separate from the parties who own it. It can enter into binding contracts, buy and sell property, sue and be sued, be held responsible for its actions, and be taxed. 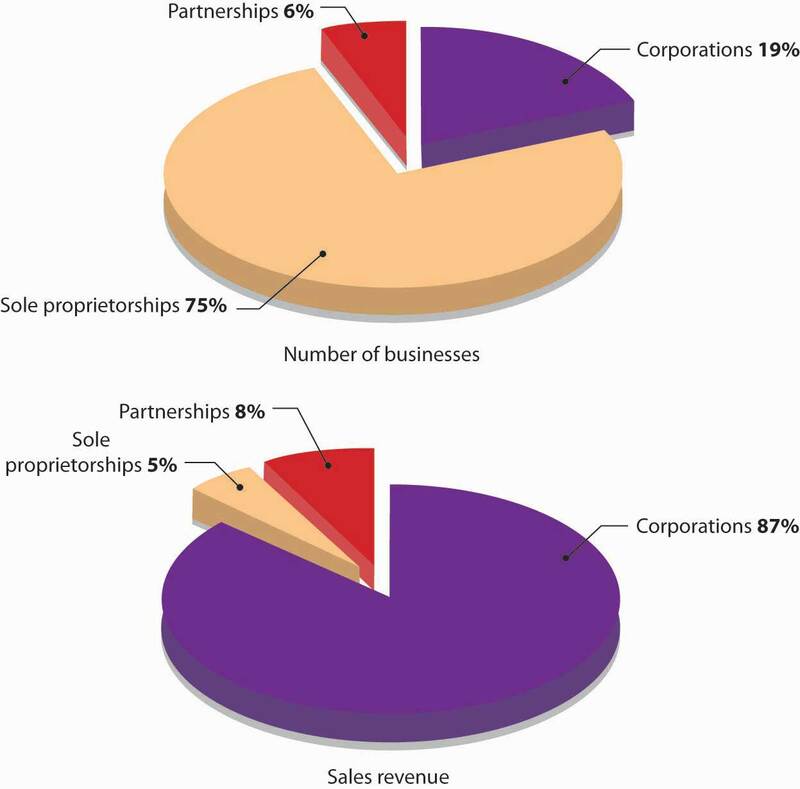 As Figure 4.6 "Types of U.S. Business" shows, corporations account for 19 percent of all U.S. businesses but generate almost 90 percent of the revenues. Most large well-known businesses are corporations, but so are many of the smaller firms with which you do business. Corporations are owned by shareholdersOwners of a corporation. who invest money in the business by buying shares of stockShare of ownership in a corporation.. The portion of the corporation they own depends on the percentage of stock they hold. For example, if a corporation has issued 100 shares of stock, and you own 30 shares, you own 30 percent of the company. The shareholders elect a board of directorsGroup of people who are legally responsible for governing a corporation., a group of people (primarily from outside the corporation) who are legally responsible for governing the corporation. The board oversees the major policies and decisions made by the corporation, sets goals and holds management accountable for achieving them, and hires and evaluates the top executive, generally called the CEO (chief executive officer). The board also approves the distribution of income to shareholders in the form of cash payments called dividendsEarnings distributed to stockholders.. The most important benefit of incorporation is the limited liabilityLegal condition under which an owner or investor can’t lose more than the amount invested. to which shareholders are exposed: they are not responsible for the obligations of the corporation, and they can lose no more than the amount that they have personally invested in the company. Clearly, limited liability would have been a big plus for the unfortunate individual whose business partner burned down their dry cleaning establishment. Had they been incorporated, the corporation would have been liable for the debts incurred by the fire. If the corporation didn’t have enough money to pay the debt, the individual shareholders would not have been obligated to pay anything. True, they would have lost all the money that they’d invested in the business, but no more. Another advantage of incorporation is continuity. Because the corporation has a legal life separate from the lives of its owners, it can (at least in theory) exist forever. Transferring ownership of a corporation is easy: shareholders simply sell their stock to others. Some founders, however, want to restrict the transferability of their stock and so choose to operate as a private (or closely held) corporationCorporation that restricts the transferability of its stock.. The stock in these corporations is held by only a few individuals, who are not allowed to sell it to the general public. Companies with no such restrictions on stock sales are called public corporationsCorporation whose stock is available to the general public. ; stock is available for sale to the general public. Five years after starting their ice cream business, Ben Cohen and Jerry Greenfield evaluated the pros and cons of the corporate form of ownership, and the “pros” won. The primary motivator was the need to raise funds to build a $2 million manufacturing facility. Not only did Ben and Jerry decide to switch from a partnership to a corporation, but they also decided to sell shares of stock to the public (and thus become a public corporation). Their sale of stock to the public was a bit unusual: Ben and Jerry wanted the community to own the company, so instead of offering the stock to anyone interested in buying a share, they offered stock to residents of Vermont only. Ben believed that “Business has a responsibility to give back to the community from which it draws its support.”Fred Chico Lager, Ben & Jerry’s: The Inside Scoop (New York: Crown Publishers, 1994), 91. He wanted the company to be owned by those who lined up in the gas station to buy cones. The stock was so popular that one in every hundred Vermont families bought stock in the company.Fred Chico Lager, Ben & Jerry’s: The Inside Scoop (New York: Crown Publishers, 1994), 103. Eventually, as the company continued to expand, the stock was sold on a national level. SolarBike Company was formed as a partnership ten years ago by three sisters-in-law: Peg McLaughlin, Terry McLaughlin, and Joanie McLaughlin. All three worked diligently to design and produce the SolarBike: an electric bicycle propelled by the sun’s rays. The good news is that the bike is a big hit with environmentalists and last year’s sales reached $2 million. The bad news is that to keep up with growing demand for the bike, the company must expand its capacity at a cost of $1 million. Even though the company is doing well, it’s unlikely that the partnership could get the needed $1 million in funds from a bank. The company’s predicament was discussed at a recent partnership meeting. Not only were the three partners unwilling to lend the company any more money, but also they voiced concern about being held responsible for their own actions as well as for all the partners’ actions. Peg asked the group to consider incorporating and raising funds through the sale of stock. Joanie supported this idea, but Terry was against it. The three partners hired you as a consultant to advise them on whether to remain as a partnership or to form a private corporation. In addition to your recommendation, you should discuss the advantages and disadvantages of both forms of organization and explain how they apply to SolarBike Company’s situation. Define mergers and acquisitions, and explain why companies are motivated to merge or acquire other companies. The headline read, “Ubisoft to Hire 900 in 12 Months.”Kris Graft, “Ubisoft to Hire 900 in 12 Months,” Next Generation, April 24, 2008, at http://www.next-gen.biz/index.php?option=com_content&task=view&id=10163&Itemid=2 (accessed June 20, 2008). The French computer and video-game publisher and developer Ubisoft Entertainment was disclosing its plans to grow internally and increase its workforce from 3,600 to 4,500. The added employees will help the company expand its operations and market share of games for PlayStation 3, Xbox 360, and Wii. When properly executed, internal growth benefits the firm. An alternative approach to growth is to merge with or acquire another company. The rationale behind growth through merger or acquisition is that 1 + 1 = 3: the combined company is more valuable than the sum of the two separate companies. This rationale is attractive to companies facing competitive pressures. To grab a bigger share of the market and improve profitability, companies will want to become more cost efficient by combining with other companies. Though they are often used as if they’re synonymous, the terms merger and acquisition mean slightly different things. A mergerThe combination of two companies to form a new company. occurs when two companies combine to form a new company. An acquisitionThe purchase of one company by another with no new company being formed. is the purchase of one company by another with no new company being formed. An example of a merger is the merging in 2005 of US Airways and America West. The combined company, the nation’s fifth largest carrier, flies under the US Airways name but is headquartered in Tempe, Arizona, the home of America West. It was hoped that the merger would help the combined airlines better compete with discount rivals Southwest and JetBlue.Dan Reed and Barbara De Lollis, “America West, US Airways Merger Goes for a Tight Fit,” USA Today, May 19, 2005, http://www.usatoday.com/money/biztravel/2005-05-19-merger_x.htm (accessed June 20, 2008). An example of a recent acquisition is the purchase of Reebok by Adidas for $3.8 billion.Theresa Howard, “Adidas, Reebok lace up for run at Nike,” US Today, August 3, 2005, http://www.usatoday.com/money/industries/manufacturing/2005-08-02-adidas-usat_x.htm (accessed June 20, 2008). The deal will give Adidas a stronger presence in North America and will help the company compete with rival Nike. Though Adidas still sells shoes under the Reebok brand, Reebok as a company no longer exists. Companies are motivated to merge or acquire other companies for a number of reasons, including the following. 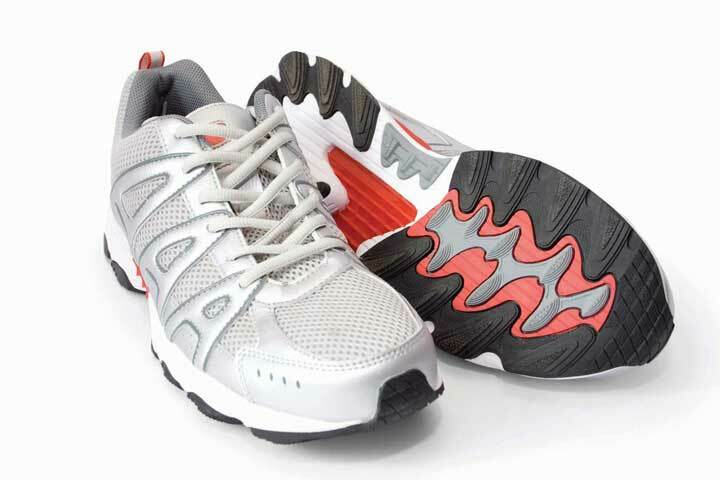 Do you think by acquiring Reebok, Adidas has had an impact on Nike’s command of the running shoe market? Acquiring complementary products was the motivation behind Adidas’s acquisition of Reebok. As Adidas CEO Herbert Hainer stated in a conference call, “This is a once-in-a-lifetime opportunity. This is a perfect fit for both companies, because the companies are so complementary….Adidas is grounded in sports performance with such products as a motorized running shoe and endorsement deals with such superstars as British soccer player David Beckham. Meanwhile, Reebok plays heavily to the melding of sports and entertainment with endorsement deals and products by Nelly, Jay-Z, and 50 Cent. The combination could be deadly to Nike.”Theresa Howard, “Adidas, Reebok lace up for run at Nike,” US Today, August 3, 2005, http://www.usatoday.com/money/industries/manufacturing/2005-08-02-adidas-usat_x.htm (accessed June 20, 2008). Gaining new markets was a significant factor in the merger of US Airways and America West. US Airways is a major player on the East Coast, the Caribbean and Europe, while America West is strong in the West. The expectations were that combining the two carriers would create an airline that could reach more markets than either carrier could do on its own.“America West, US Air in Merger Deal,” CNNMoney.com, May 20, 2005, http://money.cnn.com/2005/05/19/news/midcaps/airlines/index.htm (accessed June 20, 2008). The purchase of Pharmacia Corporation (a Swedish pharmaceutical company) by Pfizer (a research-based pharmaceutical company based in the United States) in 2003 created the world’s largest drug maker and the leading pharmaceutical company, by revenue, in every major market around the globe. The acquisition created an industry giant with more than $48 billion in revenue and a research-and-development budget of more than $7 billion.Robert Frank and Scott Hensley, “Pfizer to Buy Pharmacia For $60 Billion in Stock,” Wall Street Journal Online, WJS.com, July 15, 2002, http://www.chelationtherapyonline.com/technical/p39.htm (accessed June 20, 2008). Each day, almost forty million people around the glove are treated with Pfizer medicines.About Pfizer, company Web site: Pfizer.com, http://www.pfizer.com/about/history/pfizer_pharmacia.jsp (accessed June 20, 2008). What happens, though, if one company wants to acquire another company, but that company doesn’t want to be acquired? You can end up with a very unfriendly situation. The outcome could be a hostile takeover—an act of assuming control that’s resisted by the targeted company’s management and its board of directors. Ben Cohen and Jerry Greenfield found themselves in one of these unfriendly situations: Unilever—a very large Dutch/British company that owns three ice cream brands—wanted to buy Ben & Jerry’s, against the founders’ wishes. To make matters worse, most of the Ben & Jerry’s stockholders sided with Unilever. They had little confidence in the ability of Ben Cohen and Jerry Greenfield to continue managing the company and were frustrated with the firm’s social-mission focus. The stockholders liked Unilever’s offer to buy their Ben & Jerry’s stock at almost twice its current market price and wanted to take their profits and run. 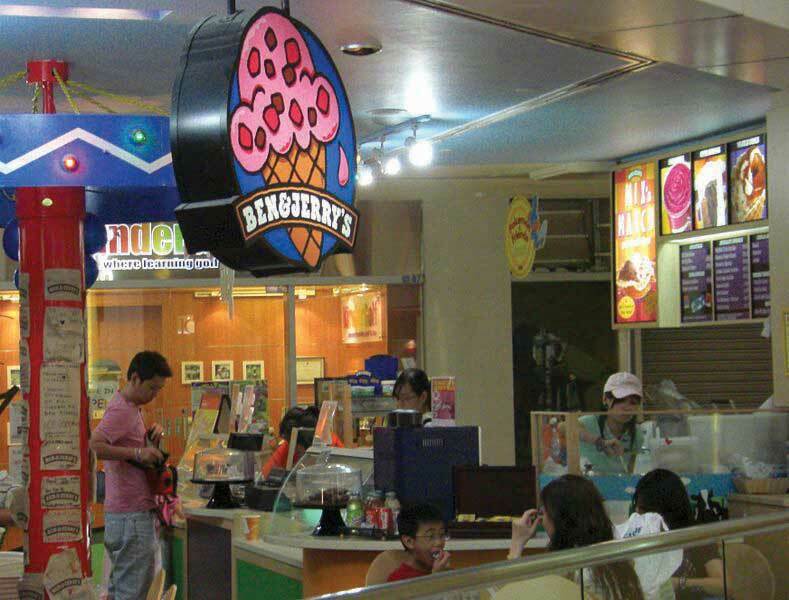 In the end, Unilever won; Ben & Jerry’s was acquired by Unilever in a hostile takeover. Despite fears that the company’s social mission would end, this didn’t happen. Though neither Ben Cohen nor Jerry Greenfield are involved in the current management of the company, they have returned to their social activism roots and are heavily involved in numerous social initiatives sponsored by the company. A merger occurs when two companies combine to form a new company. An acquisition is the purchase of one company by another with no new company being formed. Companies merge or acquire other companies to gain complementary products, attain new markets or distribution channels, and realize more-efficient economies of scale. A hostile takeover is an act of assuming control that is resisted by the targeted company’s management and its board of directors. Go online and research the merger of XM and Sirius. Why did the two satellite radio stations merge? Should this merger have been approved by the Federal Communications Commission? Whom does the merger help? Whom does it hurt? If you were the decision maker, would you approve the merger? Why, or why not? Do you have an idea for a charitable organization you’d like to start? Think of some cause that’s important to you. Then go online and review this article by Joanne Fritz, “How to Incorporate as a Nonprofit: A Check List” located at http://nonprofit.about.com/od/nonprofitbasics/ht/startingsteps.htm. Draft a mission statement for your not-for-profit organization, and indicate the types of people you’d ask to serve on your board of directors. Then list the steps you’d take to set up your not-for-profit organization. Have you given much thought to whether you’d be happier working for a small company or for a big one? Here’s your chance to compare and contrast the opportunities that small companies and big companies offer. First, read the article “Working for a Small Company: The Advantages of Being Employed by a Smaller Corporation” at http://trainingpd.suite101.com/blog.cfm/working_for_a_small_company. Then read the companion article “Working for a Large Company: The Advantages of Being Employed by a Big Corporation” at http://trainingpd.suite101.com/blog.cfm/working_for_a_large_company. Identify five advantages of working for a small company and five advantages of working for a big one. Indicate your choice of employer (small or big company) and explain why you selected this option. Bermuda Is Beautiful, but Should You Incorporate There? What advantages do U.S. companies gain by incorporating in Bermuda? What disadvantages do U.S. companies incur by incorporating in Bermuda? Do you find the practice of incorporating in Bermuda unethical? Why, or why not? Here’s the scenario: You and your team serve as consultants to business owners who need help in deciding which legal form of ownership is best for them. You’re currently working with three clients. For each client, you’ll evaluate possible legal forms of organization, debate the alternatives, and make a recommendation. Then, you’ll write a report to your client, presenting your recommendation and explaining why you arrived at your conclusion. The following is the information that you’ve collected about each client, along with ownership options you should consider. Rainforest Adventures offers one-day and multiday tours of several locations in Australia. It works both with tourists and with study groups, and its clientele varies from people who want a relaxing experience away from hectic urban life to those who are keenly interested in the exotic environment. The business is dedicated to the preservation of Australia’s tropical and wetland preserves. Its guides have many years of experience leading tourists through the rainforests, particularly at night when they come alive. Rainforest Adventures was started three years ago by Courtney Kennedy, who has fifteen years of experience in the ecotourism industry. She runs the business as a sole proprietorship but is considering a partnership. (She doesn’t want the cost or hassle of doing business as a corporation.) In questioning her, you found out the following: Kennedy is dedicated to preserving the Australian wetlands and sees her business as a way of encouraging people to support conservation efforts. However, her guides have displayed an “it’s just-a-job” attitude, have become increasingly undependable, and are unwilling to share her commitment. Still, Kennedy has several trusted friends who not only have years of experience as guides, but who also share her enthusiasm for environmental preservation. She’s optimistic that they’d be willing to join her in the business. She dreams of expanding her business to offer classes on the ecology of the rainforest but doesn’t have enough cash, and she’s afraid that a loan application will be turned down by the bank. Because Kennedy doesn’t want to incorporate, she’s left with two options: to continue doing business as a sole proprietorship or to find one or more individuals to join her in a partnership. After evaluating these two alternatives, you should recommend the one that you consider most appropriate. You should discuss the pros and cons of both options and explain how each applies to Kennedy’s situation. If you recommend forming a partnership, you need to distinguish between a general partnership and a limited partnership, as well as explain what a partnership agreement is, what it covers, and why it’s important. Scuffy the Tugboat is a family-run business that makes tugboats. It was formed as a partnership in 1986 by the three McLaughlin bothers—Mick (a naval architect), Jack (an accountant), and Bob (a marine engineer). Their first tugboat is still towing ships in Boston harbor, and over the years, success has allowed them to grow the company by plowing money back into it. Last year’s sales were more than $7 million. Now, however, they want to double production by expanding their factory by twenty-four square feet. They estimate a cost of about $1 million, yet a bigger facility would enable them to avoid late-delivery penalties that can run up to $2,000 a day. They’re not sure, however, about the best way to raise the needed funds. None of the brothers has $1 million on hand, and because lenders are often hesitant to loan money to shipbuilders, even those with good performance records, local banks haven’t been encouraging. Unlike many partners, the three brothers get along quite well. They’re concerned, though, about the risks of taking on personal debts for the business. In particular, they don’t like being liable not only for their own actions, but also for the actions of all the partners. You should recommend that Scuffy the Tugboat either remain a partnership or become a private corporation. State the pros and cons of both forms of organization, and explain how they apply to the brothers’ situation. For three years, owner Peggy Deardon has been operating Dinner Rendezvous, which gives individuals an opportunity to meet others and expand their social networks, in Austin, Texas. Interested clients go to the company’s Web site and fill out applications and privacy statements. There’s an annual membership fee of $125 and a $10 charge for each dinner attended (plus the cost of dinner and drinks). Deardon sets up all dinners and is onsite at the restaurant to introduce guests and serve complimentary champagne. While the company has a steady clientele, it’s not a big moneymaker. If Deardon didn’t have a regular full-time job, she couldn’t keep the business running. She stays with it because she enjoys it and believes that she provides a good service for Austin residents. Because it’s run out of her home, and because her biggest cost is the champagne, it’s a low-risk business with no debts. With a full-time job, she also appreciates the fact that it requires only a few hours of her time each week. Since your client wants advice on whether to incorporate, you should evaluate two options—remaining a sole proprietorship or forming a corporation. In addition to your recommendation, you should state the pros and cons of both forms of organization and explain how they apply to Deardon’s situation. Why are foreigners buying U.S. assets? Is the current trend in foreign investments in U.S. assets positive or negative for the United States? Whom does it help? Whom does it hurt? Explain. What, if anything, can the United States do to stop this trend? If you were able, would you limit foreign investment in U.S. assets? Why, or why not?